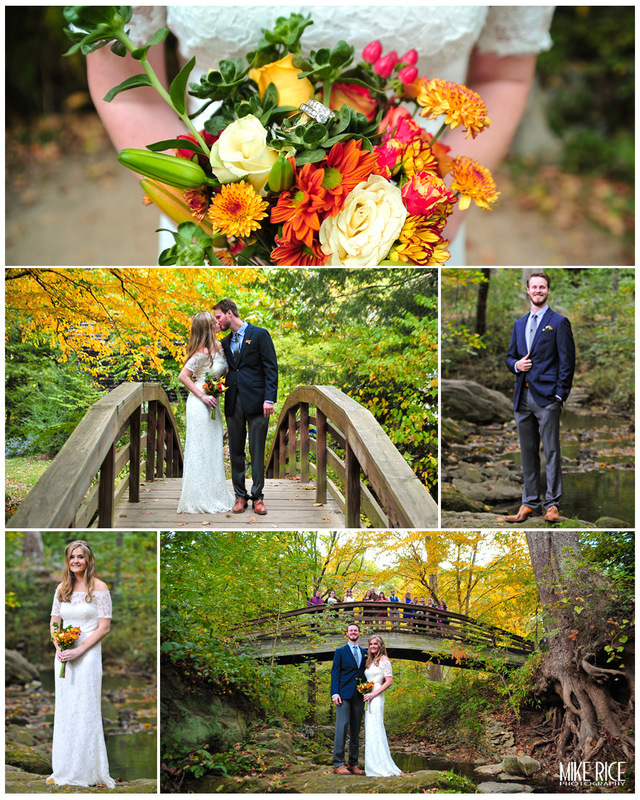 Katie and Adam shared their beautiful moment with the closest friends and family, and one amazing setting; the Botanical Gardens at Asheville! Getting married while (carefully) standing on large flat rocks, infront of a wooden bridge, as the creek water flows around you, the birds chirp in the background, and a bit of color still remains in the leaves around; it was truly a magical moment! Congratulations again Katie and Adam! We hope you have an amazing life togther!